The I2S reclock input circuit in this PCB is based on the Analog Device AN207 stop clock algorithm, left and right channel DAC are latch at the same time. With our enhanced and optimized redesign, it has no phase different problem as the other convertor in the market. The MCK from the I2S input is used to drive the input flip flop for FIFO reclock, it do not have the problem as the other complex reclock scheme which drop or double dozens of unnecessary samples every second, and it do not use CPLD as the other design which actually increase the jitter tenth of time after reclock. This PCB is target for audiophile. 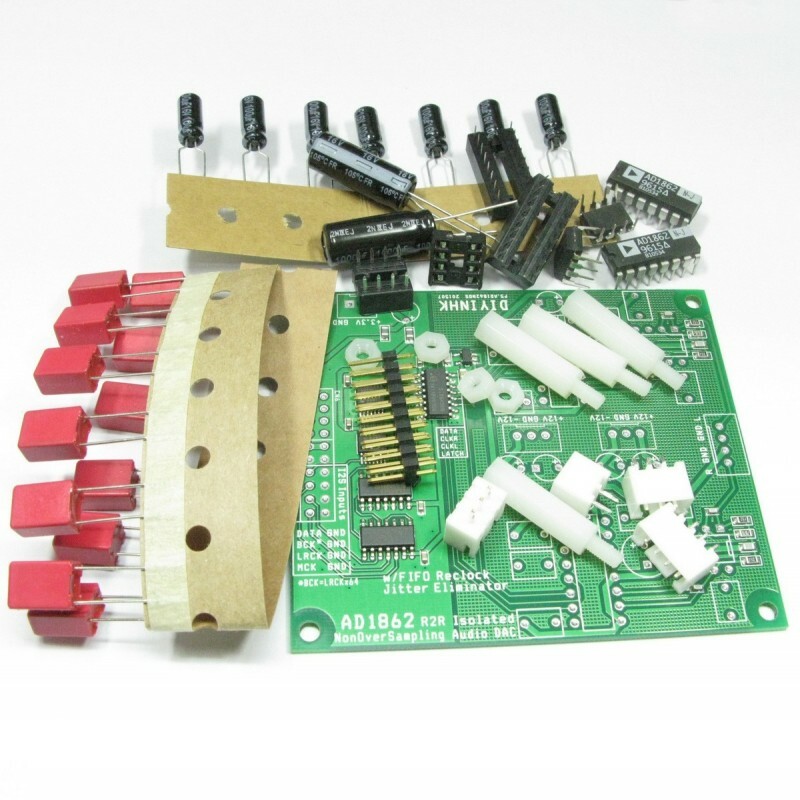 1)The AD1862N-J PCB can work immediately with only I2S signal and power supply connected, one 3.3V (>300mA) and two +-12V (>100mA). 2)The reclock quality depends on the jitter of MCK, When used with our XMOS PCB, the MCK is connected to the low jitter low phase noise NDK oscillator directly and get the best reclock performance. 3)For windows, set the output to full volume and the same sample rate as the music file for bit perfect non-oversampling NOS audio. 5)All dual opamp in single dip8 package IC can be used for this PCB output stage, such as OPA2134 AD8620 NE5532 etc. Two free opamp are included in the package and the model depends on the stock. 6)Double check all the capacitor are installed in the correct polarity before turn on your power supply. 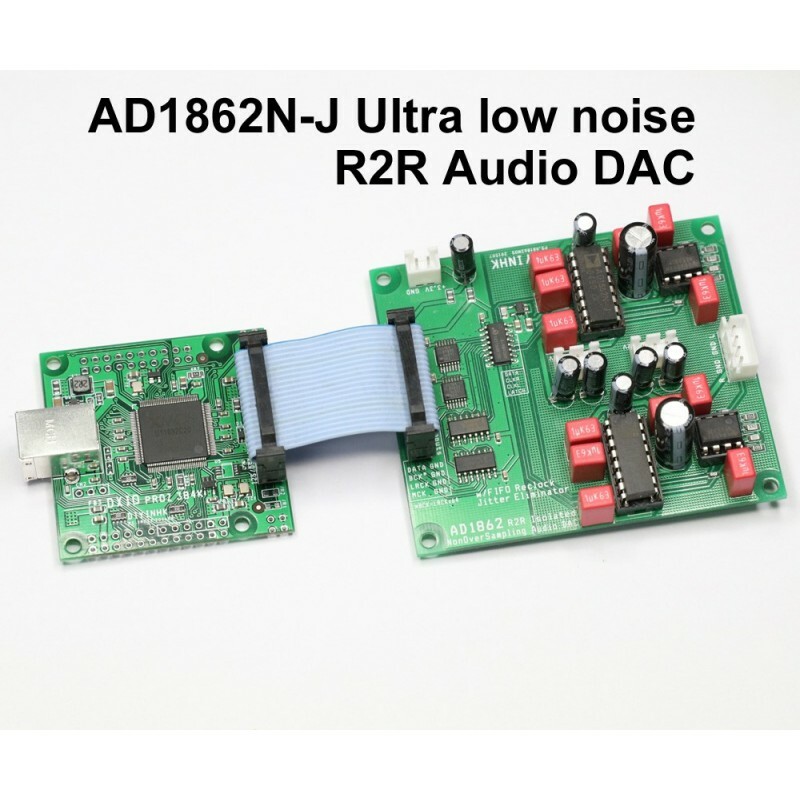 7)For Diyer requires more deeper customization or customized IV stage, the Iout directly from the DAC chip is connected to a 2.54mm spacing socket, the latest version of AD1862 datasheet is available in the official analog device website.